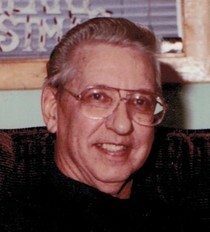 Benjamin Franklin Thompson, 83, of Dugger, IN passed away Thursday. February 18, 2016. He was born January 24, 1933 in Vincennes, IN to Thomas Henry and Mary Nancy Snyder Thompson. Benjamin was a Korean War Army Veteran, retired from General Electric in Linton, IN, was a member of the Dugger American Legion Post#224, and a member of the Church of Christ in Dugger. He was preceded in death by his parents, his wife, Vanessa Lou Terhune Thompson in 2008, two brothers; Harry V. Thompson, and Joseph Thompson and two sisters; Edith Carrie, and Henrietta Covey. Survivors include two sons; Franklin L. Thompson (Sharon) of Terre Haute, IN and Willian Thompson (Cindy) of Bourbonnais, IL two daughters; Janie K. Pfaff (David) of Willow Branch, IN and Jennifer Thompson of Dugger, IN, two brothers; Thomas Thompson (Elizabeth) of Linton, IN, and Guy Thompson (Susie) of Arizona, eight grandchildren; Ryan Thompson (Ashley), Tim Thompson, Aaron Pfaff (Cara), Amanda Ruble (Rob), Andrew Benjamin Pfaff, Samuel Pfaff, Mitchell Thompson (Amy), and Kristen Thompson, five great grandchildren; Ava Pfaff, Avalon Thompson, Kellen Ruble, Landon Hoffner, and Mia Hoffner. Funeral services will be held at Newkirk’s Funeral Home in Dugger, IN at 11:00 AM on Thursday, February 25, 2016 with Bro. Alan Borders officiating. Visitation will be Wednesday, February 24, 2016 from 5:00 PM until 8:00 PM. Interment will follow in the Dugger Cemetery with Military graveside rites by the Dugger American Legion.